This microneedling package includes three treatments, plus RenewalMD’s Remedy Hyaluronic Acid Gel. Microneedling with hyaluronic acid is a great way to treat wrinkles, hyperpigmentation, dull skin, and scars. Hyaluronic acid is a compound that is found naturally in the body that can also help plump volume-deficient areas of the skin, especially in visible signs of aging in the face. This treatment can improve the look and feel of your skin at a cellular level and continue improving your overall skin appearance over time. WHAT IS MICRONEEDLING WITH HYALURONIC ACID? 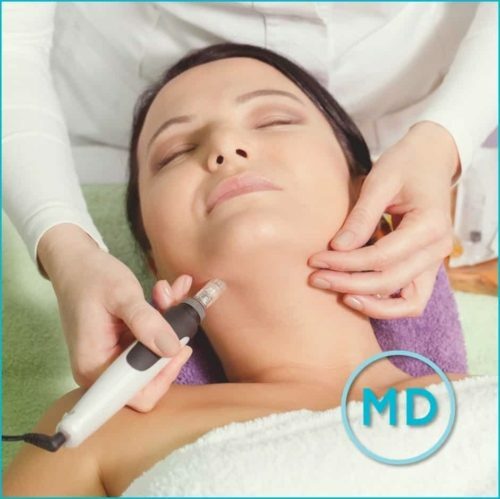 Microneedling has been used in aesthetic treatments for many years and has become increasingly popular as a skin-rejuvenation solution for its ability to non-surgically improve the look and feel of the skin without disrupting normal activities or requiring extensive healing time. During microneedling, a pen-like device with several tiny needles in the tip is moved over the skin, where the needles gently penetrate below the surface of the skin. This stimulates the skin’s natural healing response, increasing the production of collagen to improve the strength and structure of the skin and tighten visible signs of aging. Although microneedling is an effective procedure on its own, studies show that results can be optimized when paired with special serums and products such as hyaluronic acid. 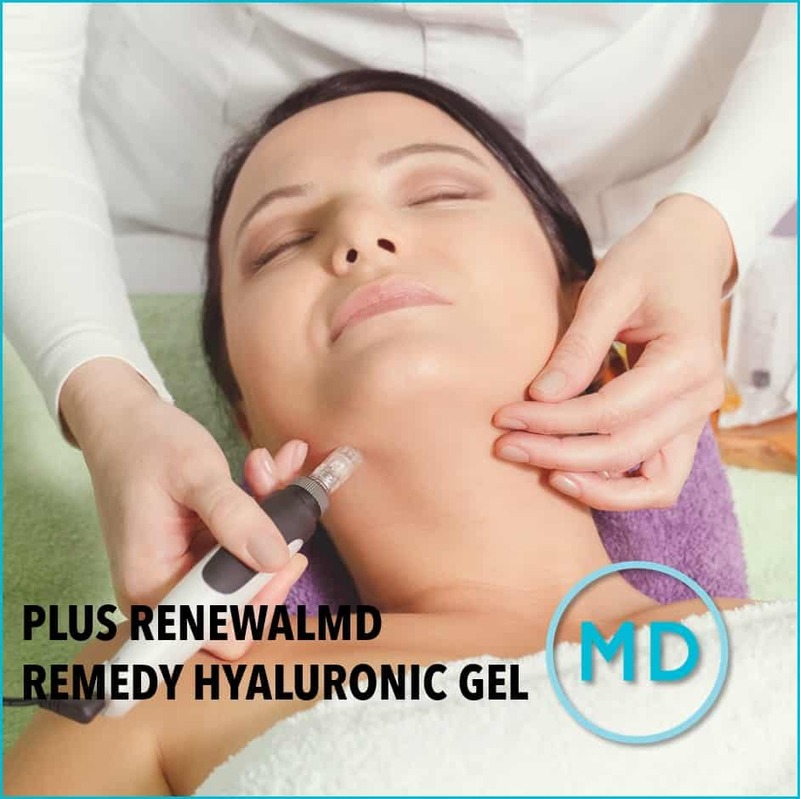 You are pre-purchasing 3 microneedling with hyaluronic acid treatments, which must be used for a single individual, and RenewalMD’s Remedy Hyaluronic Acid Gel. Your purchase requires an appointment with RenewalMD. Available at our Savannah and Statesboro locations.